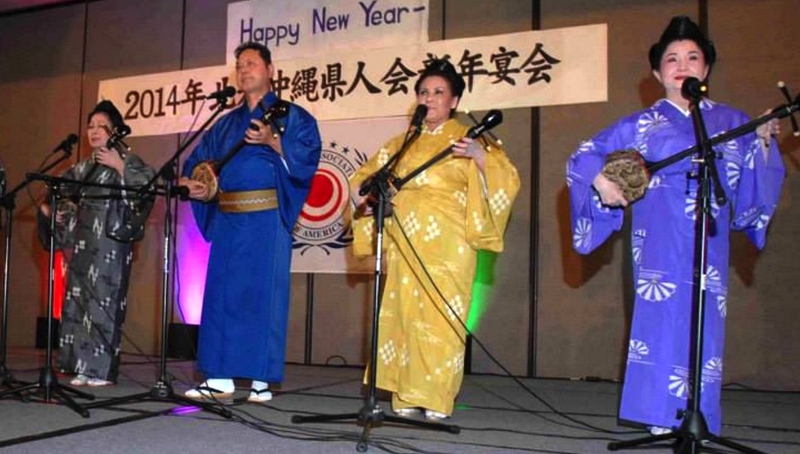 GARDENA — Okinawan Concert: An Evening of Folk Music (Minyo no Yube) will be presented on Sunday, April 22, from 1 to 3 p.m. at Gardena Buddhist Church, 1517 W. 166th St. in Gardena. Enjoy an afternoon of traditional Ryūkyū music and dance featuring local teachers and students from the North America Branch of Ryūkyū Minyō Kyōkai. Supported by the Okinawa Association of America’s Geino-bu Performing Arts Committee. Performers include Yoko Uezu, Haruo Ishihara, Koichi Yuku, Atsuko Nishikawa, Masanobu Kinjo, Emiko Hanashiro, Akiko Kaneshiro and Hatsuko Scofield. For more information, contact OAA at (310) 532-1929 or visit www.oaamensore.org.